Missing a few teeth? Wondering whether your case is suited for implants? This post is for you! Today, we look at the different patterns of tooth loss and how implants can be used to solve the problem. What do implants do? They essentially replace missing teeth. As such, implants can theoretically be used in any situation when a tooth is lost. Tooth loss, however, comes in endless combinations: you could lose a single tooth, or two teeth adjacent to each other, or multiple separate teeth in different parts of the jaw… and so on. Implants, though very useful, are not always used as the first choice of teeth replacement and they are definitely not the only way to replace missing teeth. Depending on your situation, you might be better off having bridges and dentures done instead of implants. Check out my post here on the other tooth replacement options available. In this post, I will be discussing some common cases and examples of tooth loss and what are the usual treatment options. Can’t find you case discussed here? Feel free to use the Ask The Dental Guy consultation tool! Send me a picture and I will be happy to answer your questions. People with a single missing teeth are one of the more common cases we see. 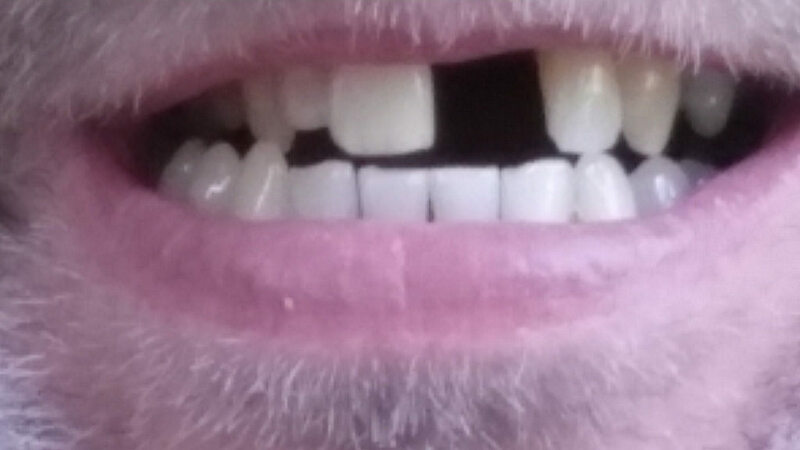 In this case here, a man is missing a single front tooth. This is especially common in teenagers or those who play contact sports. 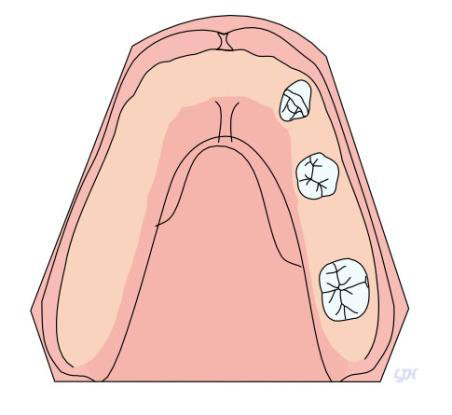 Trauma is common and one of the common results is a missing front tooth. If your two adjacent teeth are in good condition (as is in the above case), implants would be a good option. However, if the two adjacent teeth are problematic, decayed, or need other treatment like root canals, a good option would be a bridge. The combinations here are endless, but I shall go through a few common ones that I see in my patients. Again, If there is sufficient space, and the two adjacent teeth are in good condition, 2 Implants can be placed - 1 on each side of the jaw. In this case, the patient has lost 2 teeth in the lower jaw. If there is sufficient space, 2 implants can be placed to replace the missing teeth. You do not always have to place in 2 implants to replace 2 missing teeth. In some cases, there may not be sufficient space to put in 2 implants. This may happen if it has been a long time since the teeth were lost. 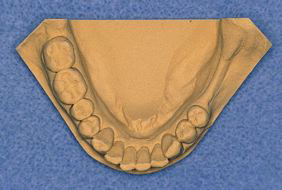 The adjacent teeth tends to tilt and drift, reducing the available space to put an implant. In that case, one implant can be placed into the empty space, essentially replacing two missing teeth. As can be seen in the animation, this is a combination of an implant and a bridge. In this case, the patient is missing 4 teeth. Instead of doing 4 single implants, 2 implants are placed and a bridge is used. Click here to learn more about bridges and their advantages and disadvantages. 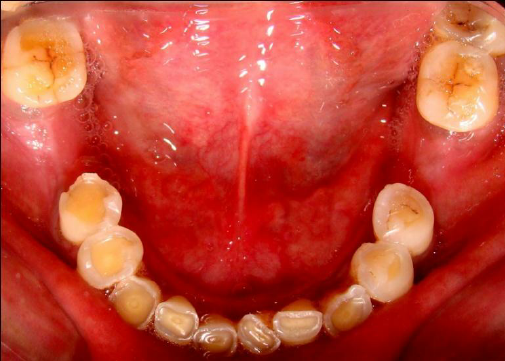 If you are missing multiple teeth like this case, it may sometimes be better to choose the simpler route - dentures. Dentures have the ability to replace many missing teeth at a low cost. Of course, it has its drawbacks as well. Alternatively, this case can be treated with a combination of implants, fixed prosthodontics and dentures. Traditional form of treatment for patients missing all their teeth is complete dentures. Problem with complete dentures is that they are essentially a piece of plastic placed on top of bone. Because of that, retention is a problem and some patients feels that they are loose. Eventually, patients develop the musculature control to deal with these full dentures and get used to it over time. However, some find it very hard to adapt to. In these cases, implants may come in handy. If you have lost all your teeth (in the upper or lower jaw or both), we usually do not recommend replacing all the missing teeth with single implants as it is cost prohibitive. What we recommend is either implant supported bridges or implant supported dentures. 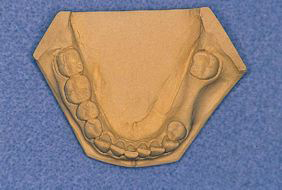 Implants can also act as anchors to support the overlying denture. These anchors prevent the denture from moving and shifting. They hence greatly increase the retention and comfort of the denture.